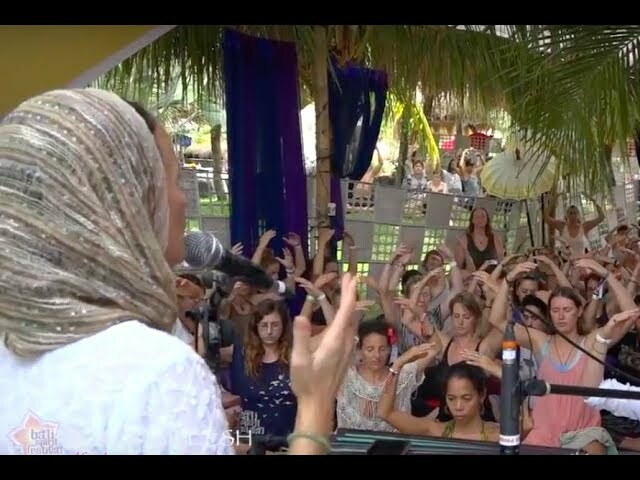 The Kundalini Meditation for Self-Blessing and Guidance by Intuition takes just 11 minutes and is “hard, but valuable”, combining a posture of self-blessing with an 8-stroke breath, suspending the breath out and the silent vibration of the mantra Sa Ta Na Ma (the cycle of existence: Infinity/Birth – Life – Death – Rebirth). The meditation is performed with the eyes closed. Experience the field of bliss and grace, as you meditate to the sacred sounds of Jai’s voice, accompanied by Raymond Sicam on flute and cello. My deep and heartfelt gratitude to Prem Prashad, who was my co-creator in this production, for the beautiful camerawork, sound recording, design input and creative editing. Your gifts and dedicated hard work shine through. Namaste.